Creeped out by slithery legless reptiles? Try these methods to discourage their presence or banish them should they appear on your property. 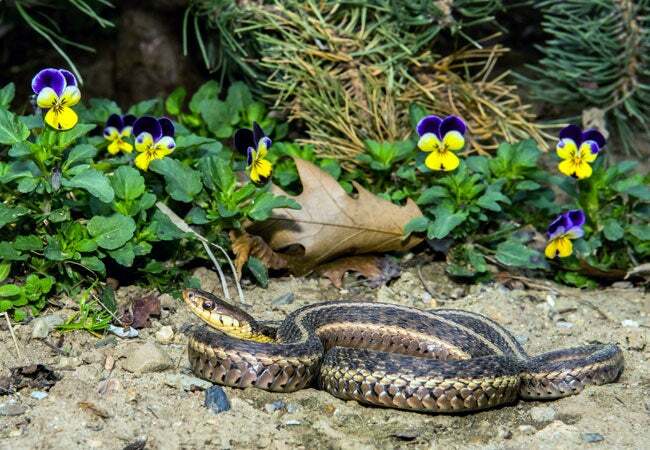 They may be perceived as sneaky, slimy, and scary, but most snakes are not dangerous to humans. And, to their credit, they do an excellent job of keeping the population of rats and mice in check. Out of more than 150 snake species in North America, only four (the copperhead, rattlesnake, coral snake, and cottonmouth) are venomous—and they should be avoided at all costs. 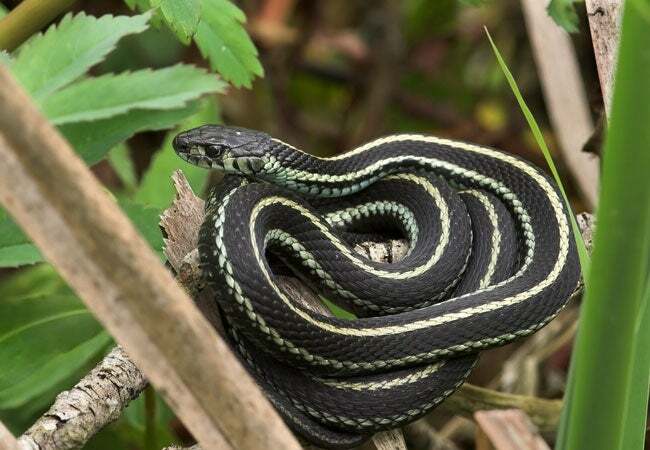 But if you’d rather not share your personal Eden with nonvenomous serpents—or they’ve started to raid your chicken coop—consider the measures here for how to get rid of snakes. Got rats, mice, voles, or moles? If so, you’re inviting snakes to dinner! Eliminating the rodent habitat in your yard, and the areas surrounding it can go a long way in the quest for how to get rid of snakes. Maintain your lawn by mowing regularly and control brush and tall vegetation by cutting back any tall weeds growing at your property’s edge. 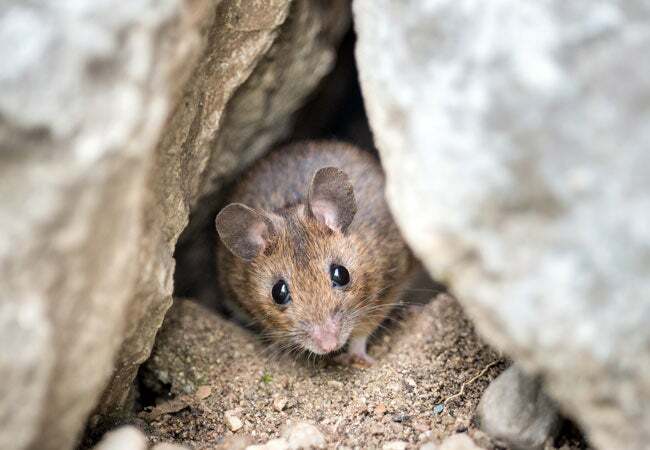 Clean up such debris as piles of rocks or wood, which make excellent shelter for mice and other small rodents. Search for rodent burrows—sure signs that pesky four-footed critters are camping out on your property—and fill them up with dirt or gravel. There are several excellent and effective snake repellants on the market. If you have kids or pets, read the labels, to choose one that’s safe to use where they might also wander. Granular formulas are easiest to administer, while liquid varieties need to be mixed. Broadcast repellent over the area where you’ve seen snakes. If you have a granular product, scatter it evenly over the target area with a hand spreader, or by shaking the granules out of the bottle or bag. If you have a liquid product, mix it and distribute it according to the manufacturer’s instructions. After treating the area where you’ve noticed snakes, apply repellant in a concentrated line around the perimeter of your property to create a barrier that snakes will not want to cross. 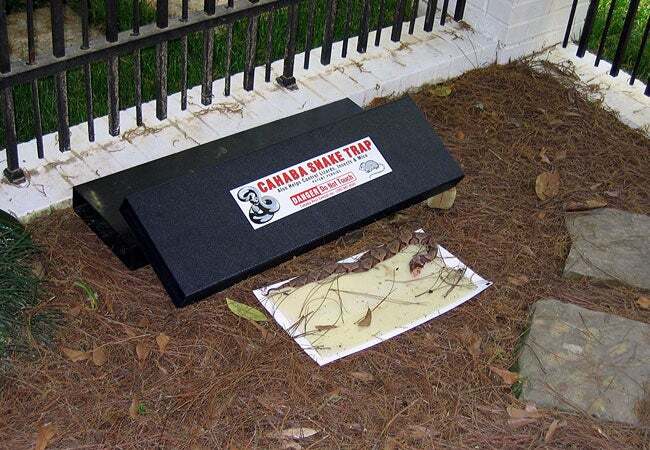 There are several types of effective snake traps available. Some utilize glue, similar to rodent traps, and others trap snakes by virtue of their construction. A minnow or maze trap, for instance, creates a space a snake can easily enter but will find difficult to exit. Traps are meant to humanely capture snakes, not kill them. So be aware that any snake you trap will be alive and need to be released. Before setting a snake trap, don protective clothing like gloves, closed-toed footwear, long pants and sleeves as a shield from any potential snake encounters. Although they won’t cause lasting harm, non-venomous snakes can bite and cause injuries that may require medical attention. Wearing gloves will also help keep you from transferring your scent to the trap, which could ward off snakes. Place the trap in the area where you’ve seen a snake, or evidence of its activity (shed skins or winding trails in the dirt are a dead giveaway). Camouflage it with dirt, leaves, branches, or whatever else will make it blend in best. Snakes don’t eat dead meat—and who wants to try setting a trap with a live rodent! ?—so bait the trap with one or two fresh eggs, a delicacy to snakes. Check the trap routinely to see if you’ve caught one. Once you have, plan to relocate it at least 10 miles from where it was trapped, in a non-inhabited area, to ensure it doesn’t return or cause menace to others. If you’d rather not look at a snake in your vehicle while transporting it, put the entire trap in a large pillowcase (not a garbage bag, which isn’t breathable), and tie off the top. To release a snake from a maze or minnow trap, open it so that the snake will leave in the opposite direction from where you are standing. Vegetable oil will dislodge a snake from a glue trap—simply pour about a cup of oil directly onto the snake and trap to release it.